Yes, it may still have two days to go, but for most manga fans, the news is done now due to a heavily overbalanced schedule. And who better to give you a breakdown of all of it than me, a person who wasn’t there and mostly followed everything on Twitter! Onward! First up we have Kodansha, who sadly did not have any new announcements. A bit worrying, given that they have really announced one new title since their debut – Code Name: Sailor V. Sailor Moon, Love Hina and Tokyo Mew Mew are all new editions of previously issued stuff, though I suspect Sailor Moon’s differences between Tokyopop and Kodansha will be large enough that it will seem new. They did announce that the Negima omnibuses will continue “till they catch up with the new volumes”, which I presume means catching up to where the Nibleys began translating/adapting it. They also showed off the cover (as yet not online) for the first Love Hina omnibus, which will be 5 volumes, each containing 3 of the original (the last will have 2). The other unsurprising but disappointing news is that they indicated that, due to poor sales and a poor economy, there are currently no plans to go back and grab other Del Rey series left hanging that aren’t already coming out. Yozakura Quartet and Pumpkin Scissors were mentioned specifically, but I expect this also includes titles such as Nodame Cantabile, Moyasimon, and School Rumble. They also indicated they have no digital plans at this time. Most likely as they’re still concentrating on getting back up to speed book-wise. The big news of the weekend was the J-Manga panel, which debuts in North America in August. It’s a collective between 39 manga companies (basically everyone you can think of which the exceptions of Square Enix (who have their own initiative) and Mag Garden (no Aria for you!) to have their manga available here. To my surprise and happiness, this is *not* an Apple-only iPad app, but web-based. The price point will be determined by publisher, but they’re also trying to get a wider variety of content than just ‘Jump/Hana to Yume’ licenses that tend to come out over here. The readers can apparently message the authors, and there will be exclusive content, including videos. And yes, some brave soul did ask why we should care when we have scanlations. Brave soul. :) It’s web-only right now, but they’re working on mobile apps. The site hasn’t debuted yet, but this was much more than I was expecting, so I am greatly pleased. There are still some unanswered questions (who’s doing the translation work? How are they being paid? ), but I am now greatly looking forward to the opening of the site. Speaking of online manga, Viz debuted their new web-based manga site Thursday evening. I have not yet had a chance to try it out, though I will do so this weekend, but all signs point to it being exactly what we asked them for – a non-iPad way to pay to read their manga online. The titles are mostly what you’d expect, being their best-sellers, along with a few Signature titles for ‘cool’ readers. I wonder in future if they might use it as a way to access volumes that are out of print and don’t sell well enough to justify a reprint (yes, I am thinking of Excel Saga). In any case, kudos to Viz! Viz had two new manga licenses, both in the Shojo Beat line. The first I’m very excited about, and have been hoping Viz would pick it up. January sees the debut of Devil and Her Love Song, which is about a blunt, no-nonsense girl who was expelled from her classy all-girls’ academy and is now attending a public school. Her ‘devil’ personality causes her no end of problems, but does attract the attention of two guys – one cheery, one grumpy. No, it’s not the most original thing ever, but it’s great fun, and I can’t wait to see it in English. The other one is Earl and Fairy, based on a very long (25 volumes and counting – don’t expect it to be licensed) light novel series about a woman who is attuned to fairies, and her interaction with a roguishly handsome young man seeking a legendary sword. It’s Victorian Fantasy, so no doubt will appeal to Black Butler fans, and its general feel should also draw in the Vampire Knight crowd. And given the success of the shonen ‘omnibus’ formats (which, word of warning, will likely all end about 9-12 volumes in – these are teasers to make you buy, not full re-releases), Viz is now doing two popular shojo series in the 3-in-1 style: Hana-Kimi and Skip Beat! I never got a chance to take in Hana-Kimi back in the day, so will be looking forward to this. Onward to the Yen panel! They win the prize for total number of new licenses, piling up three. 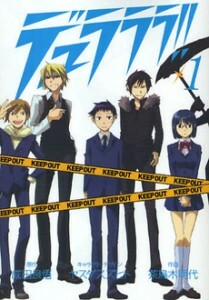 The first one was spoiled a bit ahead of time for some, but is not a surprise given the anime got a TV deal: Durarara! !, the manga adaptation of the light novel series about a group of Ikebukuro residents and their interactions and misadventures, centering around several rival gangs and a young woman searching for a missing past – and her missing head. It’s from Square Enix, and runs in their female-oriented shonen magazine GFantasy, home of Black Butler and Pandora Hearts. It just finished ‘Stage one’ in 4 volumes, but will be restarting a second arc soon. Then there is Kore Wa Zombie Desu Ka?, a comedic title that just started last year in Kadokawa Shoten’s fanservicey shonen magazine Dragon Age. Also based on a light novel that won’t come out over here (DRRR!! is a far more likely pickup, though still very unlikely), it’s about a young man who gets killed, then resurrected as a zombie by a silent young necromancer woman. 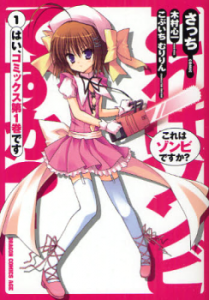 Then he runs into a magical girl with a chainsaw – and accidentally steals her powers. Now he has to deal with the trials of being a zombie cross-dressing magical girl. Didn’t I read this plot on Fanfiction.net with Naruto and Usagi? Lastly, we have what appears to be another omnibus, but a bit more high-end than Dragon Girl and Sasameke were. 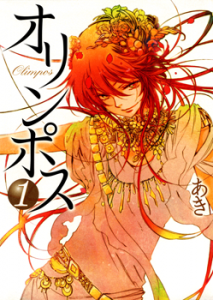 Olimpos is from the author of Utahime, which DMP put out over here, and is apparently based around the mythical Greek Gods. It ran for 2 volumes in Ichijinsha’s josei magazine Comic Zero-Sum (and its sister publication Zero-Sum Ward), and I suspect will be the most ‘blogger-friendly’ of the titles announced at SDCC. Yen also mentioned a 4-volume color omnibus for High School of the Dead, and noted they were working on an Android app for their stuff. The last thing I heard about was the Best and Worst manga of 2011, which I was delighted to hear spent so much time talking about the best that they barely managed to mention the worst. Always a good thing, IMO. Actually, Sailor V has never been released in the U.S.; I think it’s never been out in English at all. It’s a very exciting new title for longtime Sailor Moon fans! All right Hana Kimi is getting rerelased I read the first volume and liked it but now that it’s getting put out in Omnibus form this makes me want to pick the sereis up. Devil and Her Love Song sounds like a good title and Kore Wa Zombie Desu Ka?, I use that as the poster child for what people mean when they say Moe leads to bad writeing. 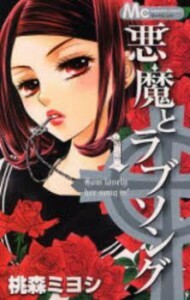 Hana Kimi is one of my all-time favorite titles, so I’m happy to see it being revived in the omnibus format. Oooh Devil and her Love Song. Very nice ^^. I quite like this story – especially the heroine and the two heroes. The only one I had problems bit was that mute girl who guilted her into it being all the heroine’s fault she was being mobbed. I’ll personally be going to Vertical’s panel at Otakon! Can’t wait to see it! I’ll have to leave the precious dealer’s room for an hour, but it’ll be so worth it! Last year I missed half of it due to it being on Friday morning, this year it’s on Saturday afternoon, so I’ll get to take it all in! Mwahahaha! As for all that news above, I am quite excited about Olimpos. I’ve read it via scans and I own Utahime (after I rented it from the library), and it’s a really unique manga that sticks in your mind. Yen Press does great omnibuses too, they have the color pages and whatnot, the size is nice (and given Olimpos’ artwork, more than deserved) and the paper is good too. Great to see Hana-Kimi being rereleased. 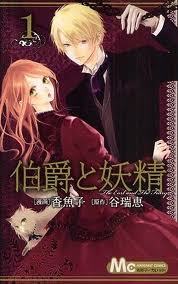 It is one of the first shoujo series I have read and so it holds a good place. It would be great if it is to be rereleased in the VIZBIG Edition format for the good quality of the paper and the color pages. I don’t think that will be the case, though. I am quite happy about Devil and Her Love Song but I was expecting more. I so wanted VIZ to announce Chica Umino’s March comes in like a lion, Miki Aihara’s From five to nine, and/or Yumi Tamura’s 7SEEDS. They also need to have more Naoki Urasawa in their catalog. It is disappointing to know that Kodansha might not continue publishing Del Rey series. I want more Nodame Cantabile, My Heavenly Hockey Club, and Gakuen Prince. Just wanted to pop in and say that Earl and Fairy was an absolutely delightful anime, and I wish they would dive in for the manga. Light novels just…I don’t have the best of luck with them. And they sell horribly besides. OH WAIT. It IS the manga getting licensed. Sorry, I got confused there. Well, then…HOORAY! Unfortunately, most of that unfinished property sells poorly. :/ As for Aria, not only is Tokyopop gone, but Mag Garden isn’t part of the JManga collective. It’s really, REALLY unlikely to be picked up again. Viz has an Otakon panel? How unusual.